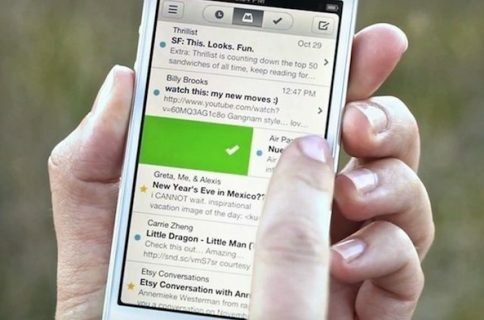 Mailbox checks your email from the cloud, then delivers it to your phone securely. This cloud-based approach to email makes a world of difference (and yes, Mailbox supports push alerts for new messages). By the way, Mailbox is currently for Gmail only, but support for other email platforms is “coming soon”. 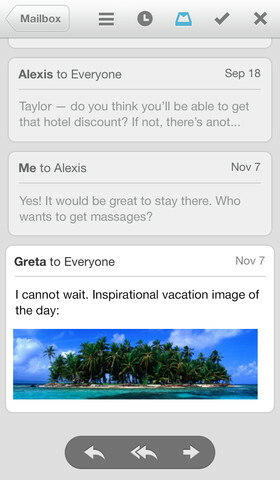 For starters, know that Mailbox has launched as an invite-only private beta. Demand for Mailbox has been incredible, and in order to deliver a world-class email experience we’re filling reservations on a first-come, first-served basis. If you’ve already reserved your Mailbox, download the app and enter your reservation info. If you don’t have a reservation, download the app to get your place in line. Everyone can watch the line move in real-time from inside the app. In addition to getting in line by just downloading the app, you can sing up for your reservation code right now. Just be patient as Orchestra will fill reservations on a first-come, first served basis. 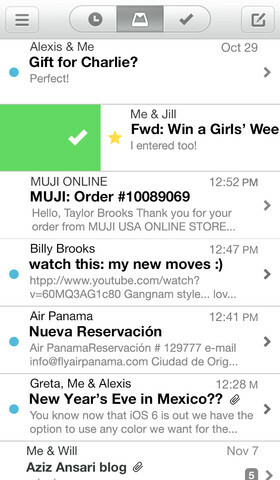 Upon running the app, you’ll be able to watch as the line moves in real-time, right inside Mailbox. The software features a clean and friendly user interface that makes heavy use of gestures to help you sort through your messages and reach the email nirvana known as “inbox zero”. Chat-like layout makes scanning long conversations a breeze and the ability to “snooze” messages just as you would calendar events has never been seen in a mainstream email program before. 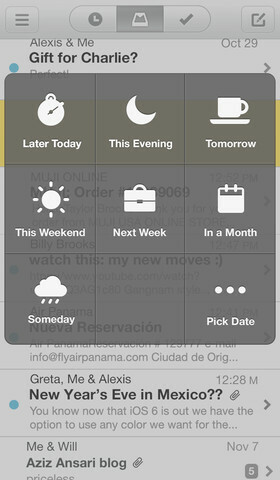 This ability to move non-crucial messages into the future (options include: Later Today, This Evening, Tomorrow, This Weekend, Next Week, In a Month, Someday and a date picker) is one of the reasons that all email handling happens in the Orchestra cloud, where your stuff can be rescheduled and handled more efficiently. Here’s Orchestra’s promo video. 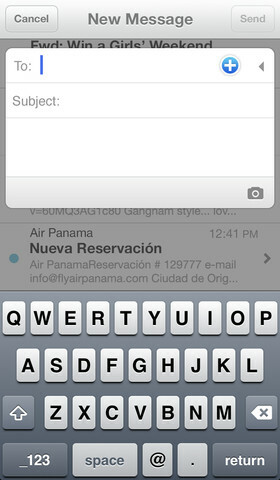 http://vimeo.com/54553882 Mailbox is free to download on your iPhone right from the App Store. Orchestra’s goal is to have a free version forever, with a premium set of paid features added over time. First reactions are overwhelmingly positive. The Next Web Managing Editor Matthew Panzarino calls Mailbox for iPhone “the first email client built for our most personal computers”. 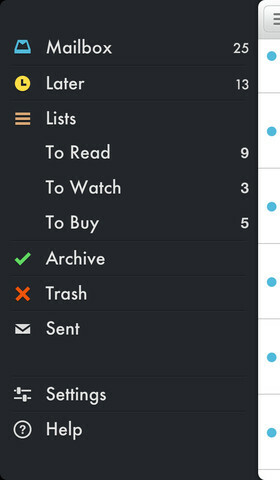 To archive or delete an email, simply swipe to the right. To save for later, swipe left. The save for later feature is particularly helpful in clearing out emails that need responding to, but not immediately, allowing users to delay or “snooze” mail and come back to it. 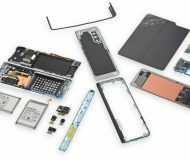 And here’s a hands-on video by The Verge. Feel free to share your Mailbox impressions with fellow readers down in the comments.